Show Off When You Show Up! Recently during an SRSD lesson, the teacher had students work independently, each choosing to revise a current draft or give peer feedback depending on where they were at in the writing process. In a preceding mini lesson, the class had just carefully reviewed an exemplar so they were teaming with inspiration for revision and eager to receive feedback from peers. A few students had questions, so the teacher set up a conferring spot in the back of the classroom. Students who felt they were in the right place to break from revising or giving peer feedback then took Deli style tickets with numbers on them so they’d know when their teacher was ready to confer with each. As students headed back to confer about their questions concerning their drafts, their teacher carefully worked to boost their confidence and self-regulation by asking them what they thought before she would respond to their questions. When we debriefed the lesson afterwards, a visitor (Jenny Miller, of Teachers 21) suggested that she also encourage students to share what they feel went well in their pieces before asking their questions. In this way, they could “show off when they show up” to help them realize that they already wrote some sections well or had even made meaningful revisions that strengthened their pieces. This teacher loved the suggestions. She plans to create a placard to post next to her Deli tickets so that when students pick up a number, they will see a note reminding them to: “Show off when you show up!” In her continuous, lifelong journey to nurture her students’ independence, confidence and self-regulation, her goal is to help her students become more fully aware of all the strengths they already have whenever she confers with them, rather than to look to her as evaluator and source of all answers. New Related Research Alert: Ever wondered if students really can self & peer score effectively? Recent research confirms they can and doing so results in higher achievement! See study here. Happy Summering — soon! ©2018 thinkSRSD. All Rights Reserved. Subscribe to gain instant access to a wealth of free materials. 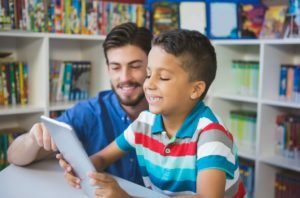 By subscribing, you consent to use materials solely for educational purposes with students or sharing with colleagues in your school or district. 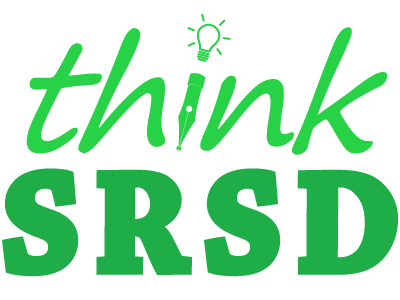 No materials may be reproduced for commercial gain or general consulting without permission from thinkSRSD. You will also receive our newsletter but can opt out at any time.